Pretend-play is one of the most natural activities children engage in, and is an important way for them to learn about the world. Through role-playing, a child is able to develop many important life skills by make-believing real-life situations in safe, low threat environments. 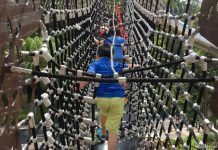 Here is a round-up of 10 of the best indoor playgrounds in Singapore that are solely pretend-play in concept, or have amazing pretend-play stations! 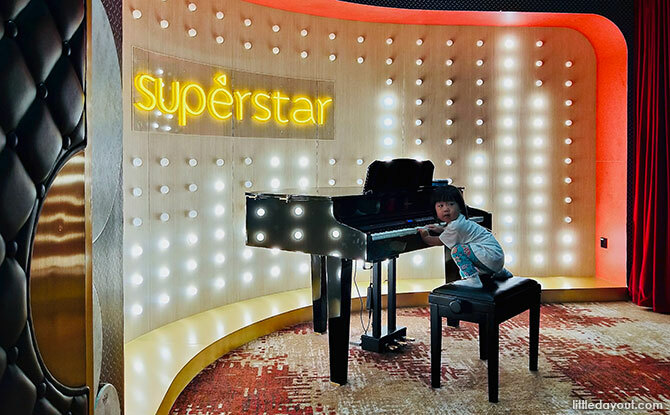 Shangri-La Hotel, Singapore, is the first hotel on Orchard Road to design and build an interactive play space for children, open to both hotel and non-hotel guests. Buds by Shangri-La Hotel spans over 1,872 square metres in total – 572 square metres indoors and another 1,300 square metres outside. The different immersive and curated play spaces allow children to learn through play creatively and independently. The show pony will love hamming it up in STAGE. Aside from the piano that children are free to bang on, there are also music videos being screened, and wigs and costumes to complete the popstar look. Your Gordon Ramsay-wannabe will enjoy a baking class or two in BAKE, and art-enthusiasts will love freestyling in MUDDY. 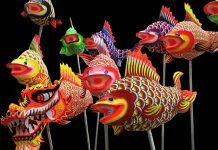 There really is something for everyone at Buds by Shangri-La Hotel Singapore! 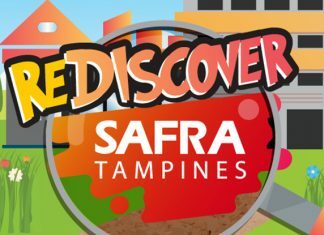 Diggersite is a one-of-a-kind edutainment centre that offers young and old a realistic experience in operating small-scale construction machinery – such as excavators – in comfort and safety. 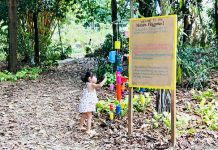 Located in Suntec City and Yishun, Diggersite allows children the opportunity to hone their hand-eye coordination through use of real construction machinery. Children will also get to dress like real construction workers as they don construction safety helmets and vests. In addition, they will also get to build small blocks and operate a construction digger. At just over a year old, the Joy Of Toys has become a firm favourite in the hearts of many parents in Singapore. 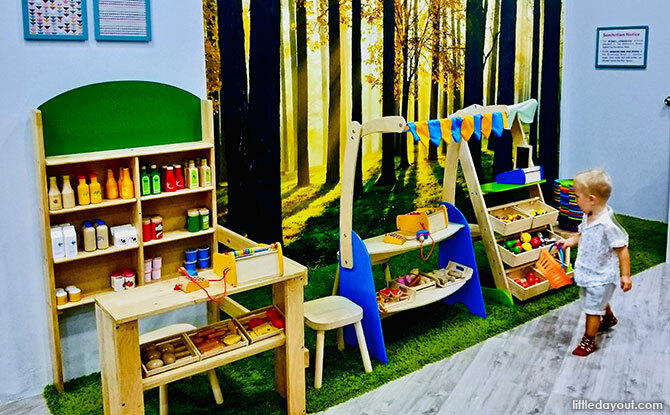 A specialty indoor play area in Singapore, the Joy of Toys is equipped with a remarkable selection of fun and educational toys housed in clean and conducive environments. Not your run-of-the-mill indoor playground, you will not be shadowing your child through an obstacle course, nor will you find a single slide, ball pit or trampoline in the Joy of Toys, located in Central Mall at Clarke Quay. Both the Toddler and Main Play Areas have impressive pretend-play stations. 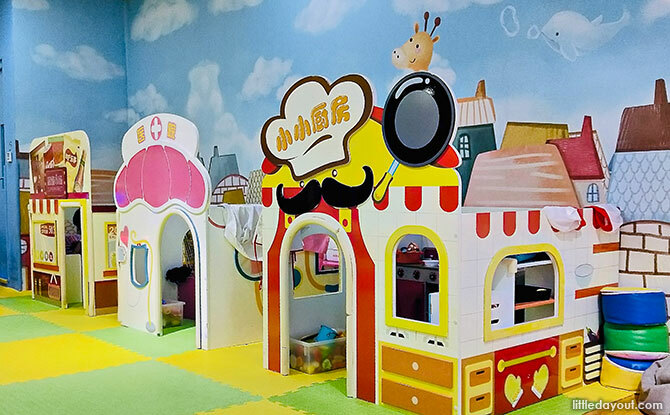 There is a mini kitchen and a baby care zone in the Toddler Play Area, while the Main Play Area has true to life set-ups including a dessert cafe, massive dollhouses, and a number of train tables. KidsSTOP is Singapore’s first and only children’s Science Centre, catering to kids between the ages of 18 months and 8 years. Created with young children in mind, KidsSTOP seeks to cultivate a lifelong love and appreciation for science and technology through the joy of pretend-play. KidsSTOP covers over 3000 square metres of space and is open to parents and children in two sessions during the week. With more than 20 exhibits spread throughout themed zones, such as Small World, Built Environment, Tinkering Lab, and Oceans’ Buddies, there are so many different ways through which young visitors can learn basic Science, Technology, Engineering, and Mathematics (STEM) principles. Learning highlights include uncovering dinosaur fossils in the Dino Pit, coming face-to-face with mice, chicks and tree frogs in Critters, and creating their own constellation in Flight and Space. KidZania Singapore is the Lion City’s largest interactive pretend-play indoor theme park at 81,000 square feet, catering to children aged 4 to 17 years old. KidZania Singapore is a kid-sized city, complete with buildings, paved streets, vehicles, and a functioning economy, where children can learn through role-play about different careers, thus developing the life skills and confidence to become great global citizens. 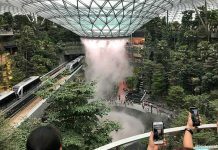 Located on Sentosa Island, KidZania Singapore prides itself on offering children experiences that are true to life and relevant to the region, culture, and geography. Aspiring pilots, fire-fighters, chefs, or tour guides will leave KidZania Singapore buzzing and sufficiently edu-tained about how the real world works. Tucked away on the second level of The Centrepoint, Little Planet Playland houses six themed play stations, each built to scale to mimic different real-world scenes. Spacious and brightly-lit, Little Planet Playland is a pretend-play wonderland in the heart of Orchard Road. There’s a farm with rows of corn and sweet potato ready for harvesting; a cassia seed pit complete with rakes and shovels; and a farmer’s market packed with shopping trolleys, breads, seafood, fruits, and vegetables. Junior MasterChefs will love the enclosed diner where there are a few different cooktops; and budding performers can play dress-up in the castle. 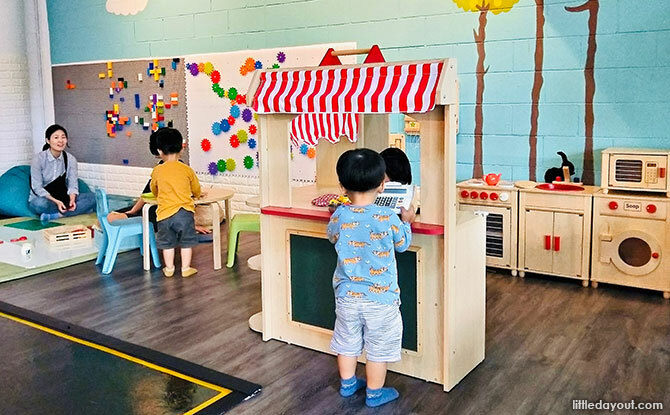 The City – located in 112 Katong – is an interactive learning indoor playground that houses realistic environments and scenarios for children to pretend-play to their hearts content. Designed for two to eight year-olds, The City recognizes the importance of high-quality role-play. At The City, young children can take on different professions in a fun and safe environment. They can become Cooks, Cashiers, Doctors, Nurses or Policemen for the day, dressed in the respective uniforms and outfits. They can drive on mini streets, navigate traffic signs and lights, and explore small-scale real-life locations, from the supermarket, to a beauty salon! In The Petite Park, young children – like crawling babies and pre-walkers – can safely zip around without fear of accidentally getting mowed down by far bigger or taller children. 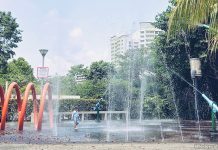 Located at Kallang Wave Mall, The Petite Park caters only to children less than 1.3 metres in height, or are younger than 7 years old. Playground equipment such as their trampolines, slides and ball pit are all toddler-friendly, so parents can let the children loose in The Petite Park with peace of mind. For some quiet play, there are role-play stations like a pretend kitchen, a reading nook, ride-on cars, and a train table. The children in Singapore sure have it good, what with indoor playgrounds at all corners of the country! 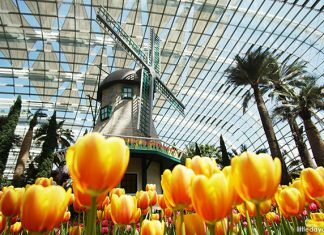 In the north of Singapore – Yishun, specifically – is Sunshine Childhood Playland which has found its home in the newest megamall to the neighbourhood, Northpoint City. Tucked quietly away in the South wing of the shopping centre, Sunshine Childhood Playland is a pleasant and vibrant indoor playground with the works. Children will be kept busy running in and out of the pretend-play cubby houses; there’s a kitchen, a hospital and a mini-mart – a role-playing haven! In addition, there is a toddler-friendly climbing frame, ball pits, and even a baby play area. Small but mighty, Sunshine Childhood Playland is certainly worth a visit, especially if you live in the vicinity. 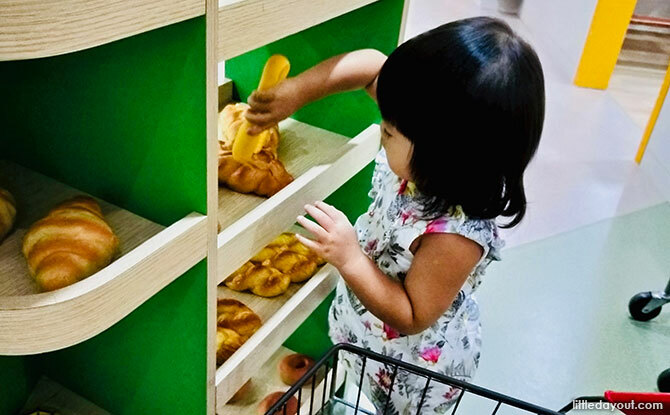 Located in Suntec City, Cool De Sac was designed with both adults and children in mind – it’s an indoor playground where children can enjoy self-directed play, and where the entire family can enjoy a meal together. 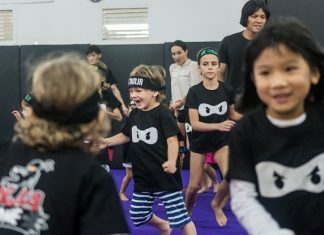 Children will be suitably engaged for hours on end in a wide variety of activities and unique play stations. In addition to the usual indoor playground suspects, Cool De Sac boasts an impressive pretend-play area where the children are free to paint, draw, build, or sing! Aspiring performers will definitely gravitate toward Backstage where they can dress up and have their faces painted, before taking to the stage.